How Far is Krishnaja Greens Phase 2? Krishnaja Greens, Phase 2 is a well planned project at Navaratna Agrahara, Bengaluru North offers convenience of location and value.The Bengaluru International Airport is very close by and schools, colleges, well known clubs and colonies too mark the vicinity of this prized location of Krishnaja Greens. 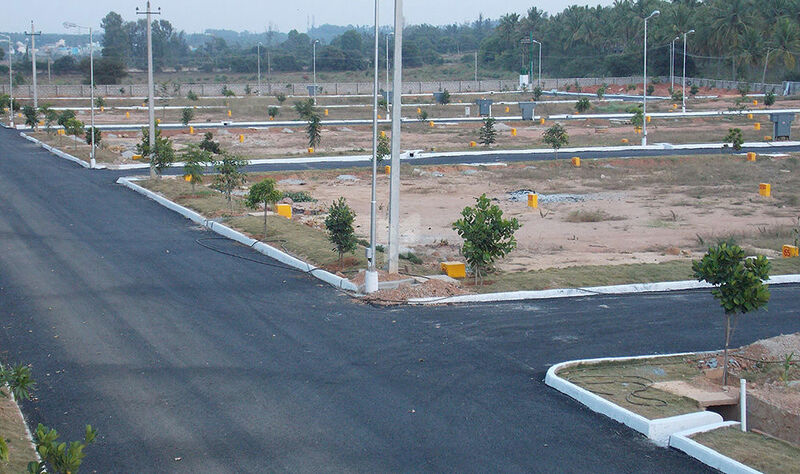 Krishnaja Greens is developing this gated housing project with Plot size of 30'X50' (1500 Sq.ft) with 40'.0 wide black topped roads with beautiful avenue plantation. The layout is developed along the best standards and approved by BIAPPA. At Krishnaja Greens, our role doesn't end at creating a well laid out gated community. We are there to aid you throughout your home-building process. Besides your home, we have also provided for the best of infrastructure and amenities to make your life here betting your expectations. Providing you with a good quality of life is our ultimate aim. Krishnaja Constructions is a name of repute, backed by over twenty years of experience in diverse real estate segments across Karnataka,Maharashtra, Tamil Nadu and Telangana. Known for transparency,on-time delivery, quality and excellent value, Krishnaja Constructions enjoys the trust of satisfied customers. Krishnaja is a member of NAREDCO (National Real Estate Development Council – under the aegis of Ministry of Housing & Urban Poverty Alleviation, Govt of India) and IGBC (Indian Green Building Council). The company has been awarded ISO 9001-2008 certification.